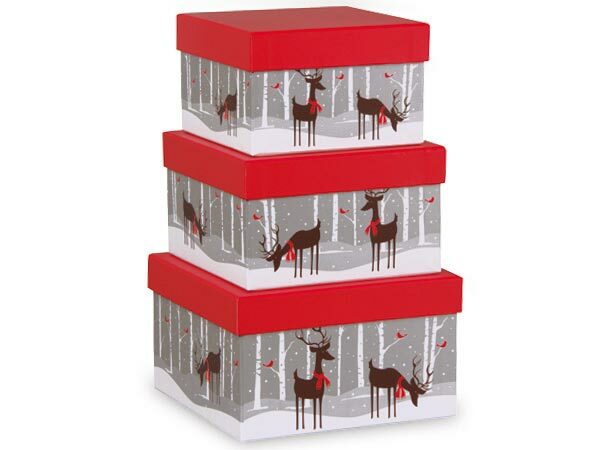 Matte Reindeer Square Nested Box Set. Set of 3: Small 5-7/8" x 5-7/8" x 3-3/4"; Medium 6-5/8" x 6-5/8" x 4"; Large 7-3/8" x 7-3/8" x 4-1/2". White interiors.